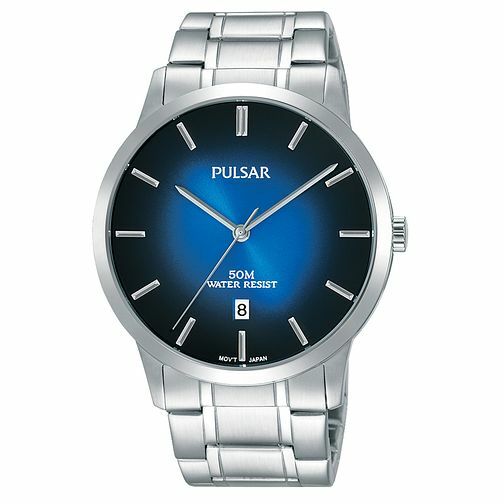 A watch for all occasions this modern looking mens dress bracelet watch is made in stainless steel with a finger nail friendly press button deployment bracelet. The dark blue dial starts in lighter blue at the centre then radiates to dark blue at the perimeter. Elegant hour markers and hands showcase the stylish intent and houses the date box. Completed with 50m water resistant.